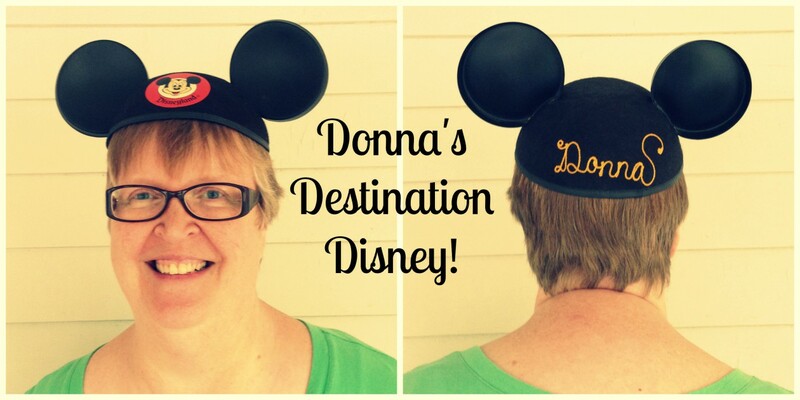 donnasdestinationdisney | Pilgrimage to better health to meet Mickey. A 14 month Quest. Today I traveled home from Walt Disney World. It’s always a bittersweet day. After eight nights in Florida, I was ready to be home. But home meant saying good-bye to Emi and family for several months, and that is always difficult. They are back home in England safe and sound. Jake and family are safely back in Illinois. And Mike and I are home tonight also. Mary Ann, our cat, greeted us with loud meows and lots of close contact. So, it’s good to be home after an incredible vacation. So thankful! Meet me at the Kingdom. Today was our last full day at Disney’s Old Key West Resort. We had tickets for a park, but only Jake went in today. He chose Disney’s Hollywood Studio so he could ride Twilight Zone Tower of Terror, his favorite ride. As he entered the gate who should he see waiting there? Daniel Carlson, a dear family friend! What are the chances?? They chatted for a bit as Daniel waited for his friends to show up. Incredible! It’s a God thing. The rest of us stayed at the resort to chill and begin packing. Ida seemed to have a low-grade fever and Linnie is still recovering from the flu. It was a nice low key day. Then it was time for Emi, James and Ida to catch the bus to the airport. With plenty of hugs and tears to go around, I thanked God for this time together. I’ll be looking forward to our next time together, perhaps as soon as March. Mike, Jake, Eliza, Linnie and I wandered up to Turtle Krawl for dinner. With burgers, chili dogs, and pulled pork sandwiches for dinner from Good’s Food to Go and drinks from Gurgling Suitcase we whiled away the hours in the warm evening Florida breezes. It was a perfect ending to an emotional day. Well, Dear Readers, I am one Disney-exhausted camper. So delighted for this incredible adventure. And yet ready to go home tomorrow. Home, where Mary Ann, our kitty cat, waits for me. Until the next time…meet me at the Kingdom. What an incredible evening we had at Magic Kingdom last night! Mike, James, Ida and I had dinner at Be Our Guest. It was so delicious! I highly recommend the filet mignon for a main course which comes with mashed potatoes and al dente green beans. My starter of cheese and fruit was perfect for the meal that followed. And the dessert was just plain fun! A mini white chocolate “Chip” cup filled with “the gray stuff”, a raspberry macaroon with raspberry jam and fresh raspberries, and a chocolate truffle. So cute and so sweet and so delicious! And that castle! Just Holy Wah! It is truly an enchanting place to dine. Ida was nervous about Beast, so she was happy to only see him from across the room. She liked the big music box with Belle and Beast dancing. And she thought the rose was very pretty. Then James and Ida legged it for the bus back to Old Key West Resort. Ida has a cold and was tired and a bit cross. But in her defense she has a nasty cold that she has been fighting all week. Bless her little heart! Jake, Eliza, and Linnie spent the evening at the resort as Linnie has her first case of the flu. They took her to Urgent Care earlier in the day (a four hour ordeal) and got her a prescription and some pain meds. She seems quite a bit more herself this morning, but will have a quiet day today. We ended our evening by finding a spot on the bridge between Tomorrow Land and the central hub. Emi went to Plaza Ice Cream and picked up some treats for us to enjoy as we sat and passed the time. We watched Boo to You Halloween Parade. And finished off the evening with HalloWishes fireworks. We had a great time just being together in such a beautiful place. Feeling very blessed this morning! Meet me at the Kingdom. We are tired out! Emi, James, Ida and I opted out of our Fastpasses today and relaxed at Old Key West. Mike went in to Disney’s Hollywood Studio early on his own and walked around, until Jake, Eliza and Linnie showed up. They went to The Little Mermaid and Toy Story Mania! The rest of us showed up in time for Minnie’s Halloween Dinner at Hollywood and Vine restaurant. It was a blast, and Ida finally warmed up to the characters, especially Minnie Mouse. As we posed with Minnie at the entry Ida kept saying, “She’s very gentle and kind,” to herself as a mantra. I can’t recommend this buffet dinner enough. The food was so delicious, and the characters all made sure to visit each table. Linnie ended up seeing a nurse at the park and had a bit of a fever so they took her back to the resort to chill out. She seems to be doing a little bit better tonight, and the fever has broken. What a busy, busy day! We spent our day today at EPCOT. What a blast we had! Emi and James surprised us with gift cards which we were able to use at all the food booths at The Food and Wine Festival. So we ate our way around World Showcase Lagoon. Well, it was delicious and such a blast. There was very little cloud cover and scorching hot for us northerners. We kept downing water and searching for shade. Our Fastpasses today were: Turtle Talk with Crush (totally tubular, Dude), The Seas with Nemo and Friends (Ida loved seeing the fish and especially the manatee) and Frozen Forever (which scared and delighted both Ida and Grandma). The Guinness and Baileys Shake and the Irish Soda Bread with Cheddar Cheese Dip were my favorite things of the festival. However, after more than ten years of planning to try the School Bread at Norway’s Kringla Bakery og Cafe today that mission was accomplished. It was a cardamom biscuit with coconut on top, and a delicious cream center and topping. We had to pick some up to take back to our villa for breakfast tomorrow. Delectable! What an incredible day! Meet me at the Kingdom. Disney’s Hollywood Studios tomorrow. On a cloudy Tuesday we made our way to Animal Kingdom. We rode Na’vi River Journey for the first time. It was magnificent! It was like being immersed in a whole new world. The colors and the vegetation, the huge insects and animals, and the sound track of life in Pandora blended into most memorable moments. Then it was on to Kilimanjaro Safaris. We have ridden this many times, but because there was cloud cover and it was feeding time, we saw more animals than we had ever seen before. I always love seeing the flamingoes, and there were lots of them out and about. Ida loved the rhinos, with their big horns, instead of noses. And one of the highlights of the day was a Memory Maker moment. Jake became Rafiki and baby Elinor became Simba. It was magical! Then we had a delicious dinner at Yak and Yeti. Oh, that mango pie! And we tasted a new favorite: the green bean appetizer. So good! Another lovely day at Walt Disney World! Meet me at the Kingdom! Today we took a day to chill out and appreciate our resort. It was glorious! Some swam, some rode a bicycle built for four, some enjoyed shopping at Disney Springs. Then Mike treated us all to an amazing dinner at Artist Point, an Arts and Crafts inspired restaurant at Disney’s Wilderness Lodge Resort. It was a fun adventure, too, because we took a bus to Magic Kingdom, then transferred to a boat to the lodge. The food there is northwest inspired. My dinner was buffalo steak and farrow with crispy Brussel sprouts. We enjoyed an artisanal cheese board for starters. Then we capped off our meal with two desserts which we all shared: creme brûlée and wild berry cobbler with coffee. Delicious! What a lovely, decadent day! I am thankful. Pilgrimage to better health to meet Mickey. A 14 month Quest.